A story is told about a time when Winston Churchill was attending an official ceremony in London. Two men behind him recognized him and began to whisper behind his back. “They say Churchill’s quite senile now,” said one. “Yes, and they say he’s doing England more harm than good,” replied the other. “They say he should step aside and leave the running of this government to younger, more dynamic people,” continued the first man. Your gossip, grumbling and criticism might be heard by more people than you think! “Don’t grumble against one another, brothers and sisters, or you will be judged. The Judge is standing at the door!”—James 5:9. 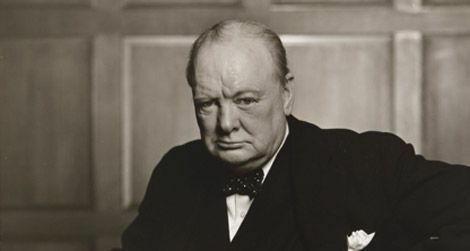 This entry was posted in Christian Living, Humor, Leadership and tagged criticism, gossip, grumbling, illustration, Winston Churchill. Bookmark the permalink.